Ready to mix things up in the kitchen? 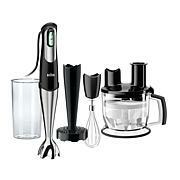 Grab the Braun Multiquick and get started. Blending and mixing are just the beginning for this handheld wonder. Chop ingredients to prep for recipes. Whisk eggs, sauces and dressings. New flavor profiles are within reach thanks to the fine blending of ActiveBlade technology and the PowerBell system, which blends faster and finer. 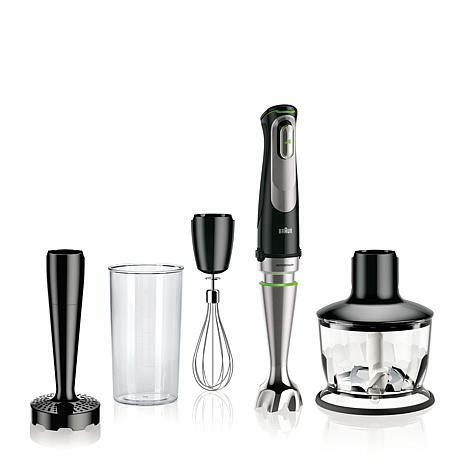 Your next great culinary creation awaits. I love this. It does everything it claims to do. Mashes potatoes, whips heavy cream. Don't need beaters, and don't need to use the blender nearly a often as I used to. Very powerful, cuts thru almost anything and very quickly. I love this blender. It works great for the minimal that I do and its a great space saver since we have a small kitchen. but have tired every function except the mash . 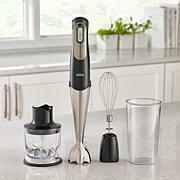 I plan to use this for the potatoes on Thanksgiving (so have fingers crossed and hope I am on a roll ) .It has about the most power of any type blender gadget I have. I was doubtful that it would make as great of smoothee as other ones I own , but it certainly did ! 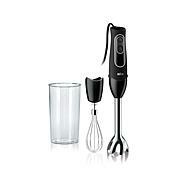 The whipping attachment is also the best even compared to my gigantic much loved mixer . Of course I chilled the 'whip' & and clear beaker attachment as usually recommended before whipping . I did also place beaker on a silicone trivet to keep beaker from spinning from the power. 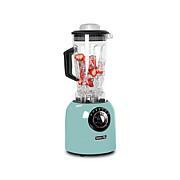 The 2 cup blender is perfect for small family . I hope it lasts as I really like it. It works SUPER FAST ! It is a space and time saver for me. but sent back because can't use the 9 with the ice crusher.... only the 5 or 7 !! !